However, we saw an issue with redirects. It is the story of a website that changed its domain name 4 times since 2008. Consequently, in 2017, the 3 former domain names had 301 redirects in place to point to the new website. The traffic started to drop in mid-2017, we looked into any options. We ended up removing the 301 redirects from the former domain names to the new domain names. We also returned a 404 error page on purpose. After 2 months, the traffic started to recover and meanwhile the said website didn’t receive any updates. 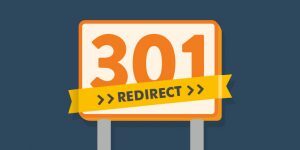 We are convinced there is an issue with 301 redirects when every former web page from a former domain redirects to a new domain name. Now, we monitored crawling errors of the former domain name in google search console. To our surprise, many 404 errors started to pop up, just like those web pages were on those domains. For example, a URL that wasn’t used since 2010 on one of the former domains, started to show in the 404 errors. 2017 deletions of all 301 redirects from former domain names to the new one, 404 errors started to be displayed with the list of pages created between 2008 and 2010. Even if there were 3 former domains that also got link juice from external links, against all odds, the incoming organic google traffic to the last domain name increased by 100%. That’s why we think it is better to return a 404 error against the URLs from the former domain name and give up the old google juice as quickly as possible.